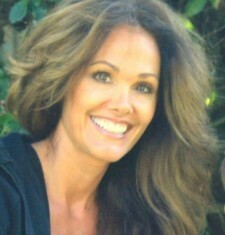 Danielle is the founder and owner of the nut butter brand, NuttZo™, based in San Diego, CA. With over 25 years of sales and marketing experience, Danielle developed this revolutionary 7 nut and seed nut-butter line after adopting two nutrient-deficient boys from the Ukraine. Danielle is also the co-founder of PLB Vountours volunteer trips. Danielle has 3 children, is an avid runner, traveler and yogini and resides with her family in San Diego, CA.